Let us begin training together for the biggest party of the year. 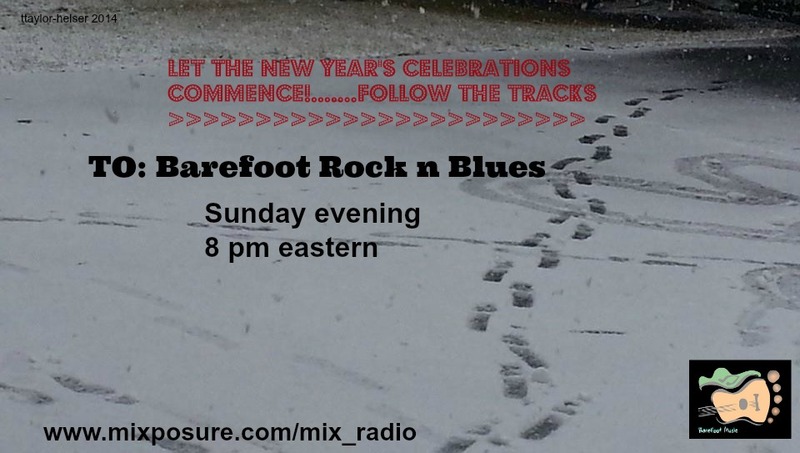 Join Barefoot Rock n Blues this Sunday evening to help get in shape for ringing out 2014, and for singing in the New Year. Looking forward to y’all joining the fun…. with bells on! Hey lil sis, checkin’ in to wish you joy and luck and all the good stuff in this new journey. My heart is with you each and every moment … the good ‘n not so good. I am doing better each day in my struggle to come back from whatever tried to take me down. To have you in my heart an on my side gives me strength. May your days be light and your mission be golden. Bear hugs and love. Such good news my dearest big Sis to hear you’re on the mend. Baby steps back love. I’m never father than a click or phone call away My dear Maxi. Reblogged this on Barefoot indie Music Group.